Ding Ding Ding! It’s time for Round Two! In our last post you learned what plants Seth and I consider to be top performers in the yard. You also had the chance to see how Seth clearly isn’t as refined in his plant selections as I am. It’s ok we still love him. Now we’re bringing you our Top 3 picks for container use. These are plants that rock all summer long on the patio or balcony. Again you get to decide which one of us has the better taste in plants! The Picks are In! Who is King of the Container?! 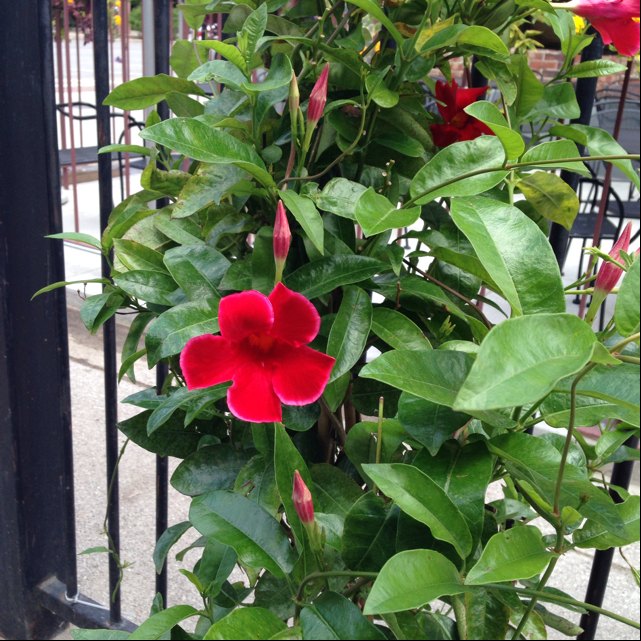 Mandevilla – This plant has vibrant colored flowers that love the full sun and can make a great center piece to any container. Put this plant along with some sort of trellis and combine it with some plants that will trail to create an awesome combination container. New breeding on this plant has helped create less vigorous plants that allow you to have the same great flower on a much smaller plant. 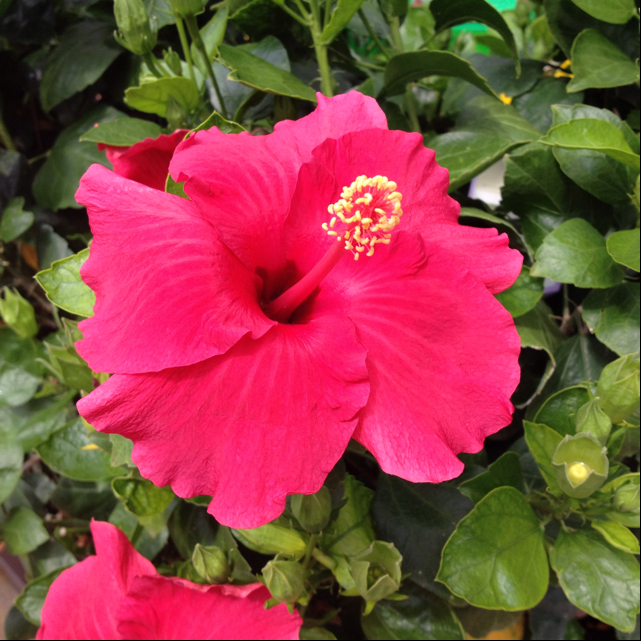 Tropical Hibiscus – If you think flowering plants are too boring for your taste, then I dare you to try out a hibiscus plant as the centerpiece for your containers. These tropical plants are not hardy unless you live in the south, but are exquisite for summer. They bloom all summer long and have big & bright flowers. You can get these plants small or big; as a bush or as standard (this means it has the stem and then the ball of growth at the top, this is better if you are mixing it with other plants). They do well by themselves in a smaller container, or you can put them in a bigger container and add some flowers around it to create a nice combination. Banana Plant – No, you will not get any bananas from this plant, but you will be adding a nice tropical feel to your containers. 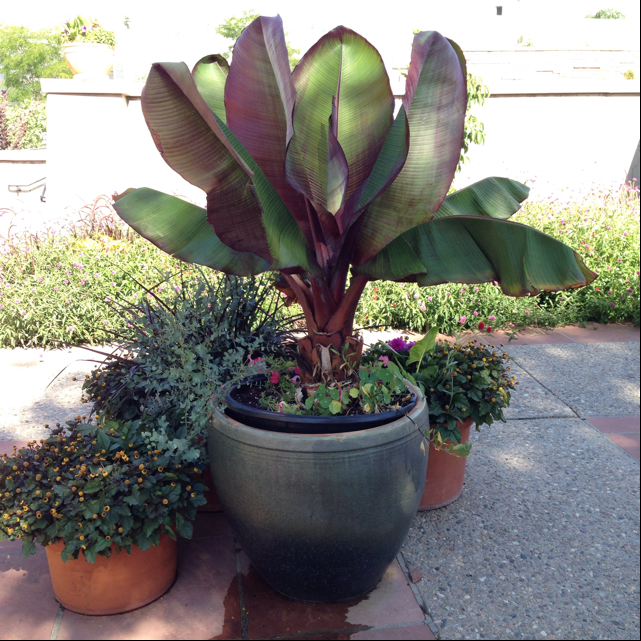 A good banana plant can add some visual structure and appeal to a container. They have some great varieties that have some darker colors in the leaves that can contrast your flowers. It also adds come good height to a container. Plus for me, adding that tropical feel to the Midwest just makes me happier! These plants love sun, so keep it in the sunniest spot and watch them flourish. 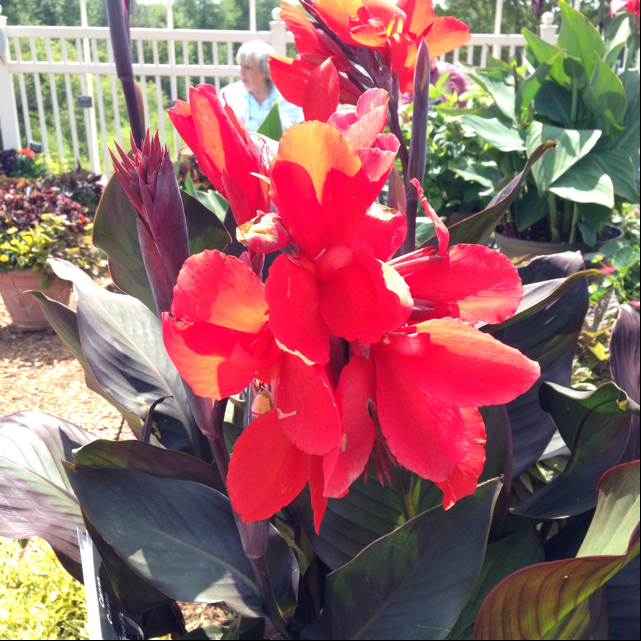 Cannas – Want something tropical looking that won’t cost you an arm and a leg? Go with a Canna! These things are great centerpieces for any mixed container, and they come in a variety of colors. Red is the classic, but you can find pink, orange, and yellow as well! Putting some mixed containers by the pool? You definitely need to try a Canna or two. 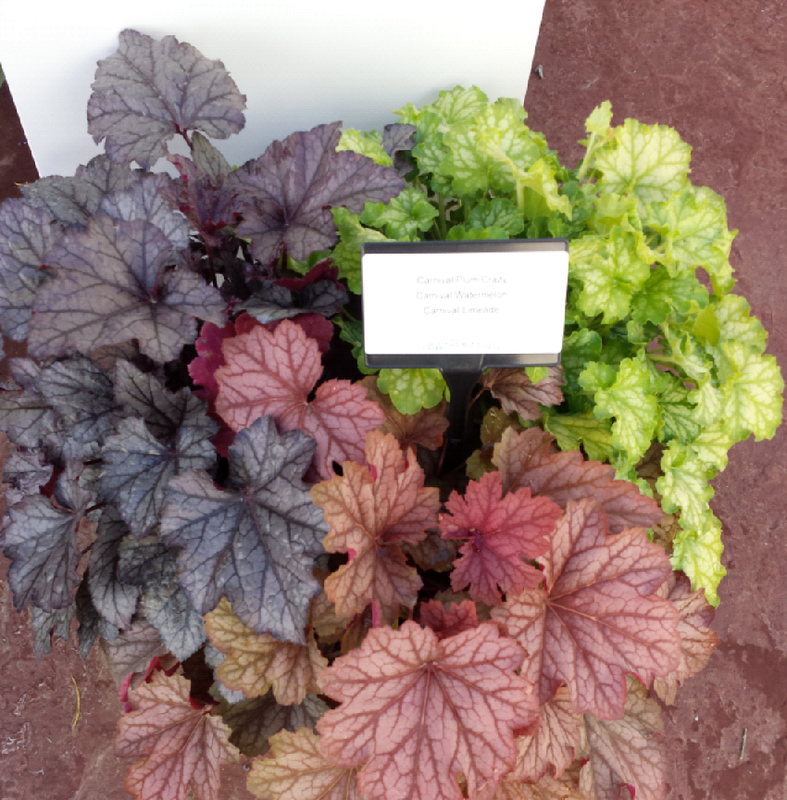 Heuchera – You didn’t see that one coming did you?!?! One of the more recent trends has actually been to start bending the rules when it comes to mixed containers. You don’t have to plant strictly annuals in containers anymore. Swap out that coleus for a Heuchera. At first people might look at you like you’re crazy, but then they’re going to realize that you’re a friggin’ genius! 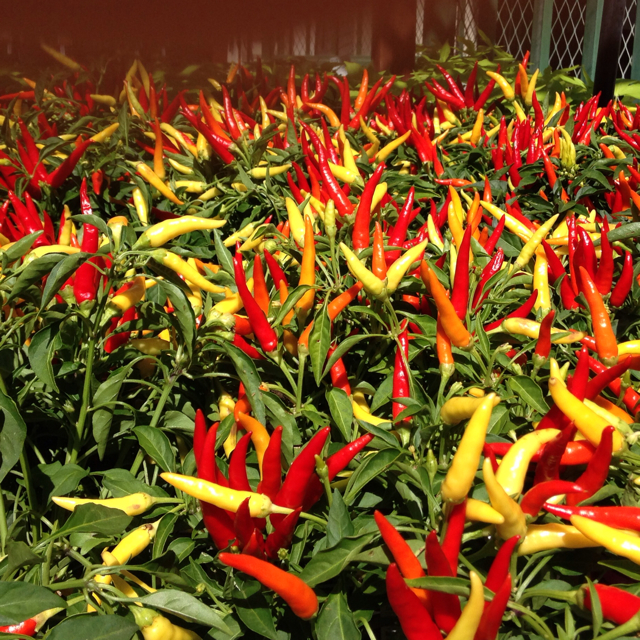 Ornamental Pepper – Color is cool, but texture is better! There’s no better way to “spice” up a container than to throw in some Ornamental Peppers. They come in all shapes, sizes, and colors. I also love these because they’re extremely heat tolerant. 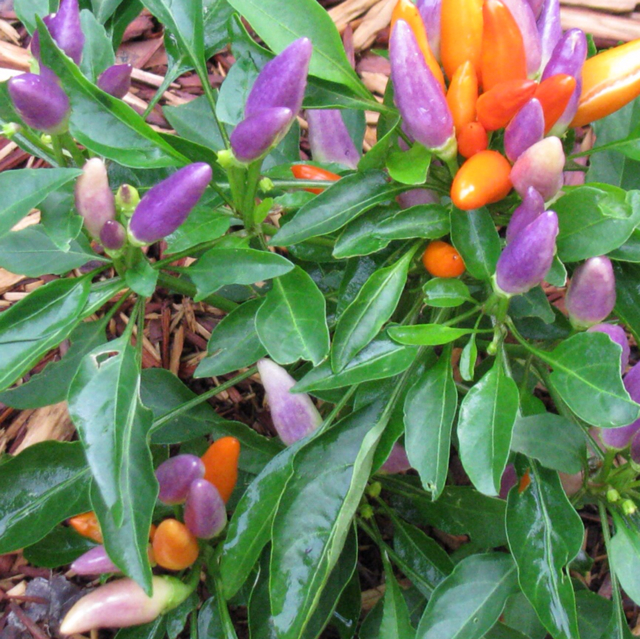 If you want something that can handle the summer burn, go with an Ornamental Pepper. If you’re really bold, maybe just use an edible variety in your containers. That’s what we call dual purpose! To see more pictures of these plants, search for them in the Search feed under the “plants” tab. We’d love to know your favorite plants for containers. Leave a comment or upload them to the app!